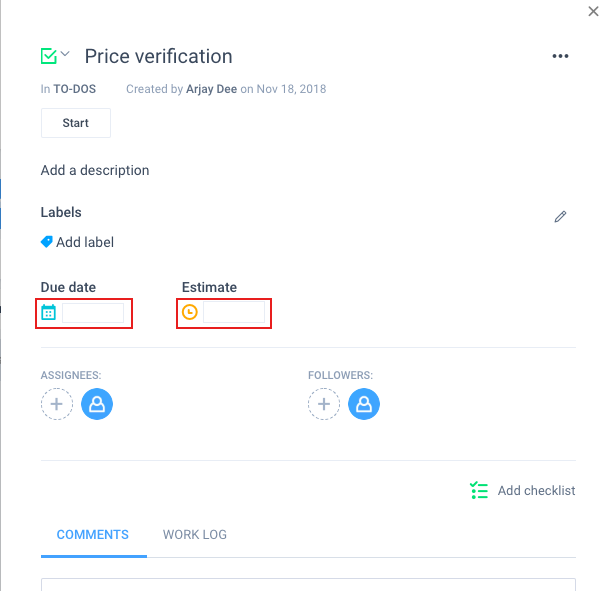 Hubstaff Tasks recently added the ability to add due dates and task duration estimates. Choose the task card that you want to update with a due date or an estimate. Click on the box beside the calendar icon named “due date”. 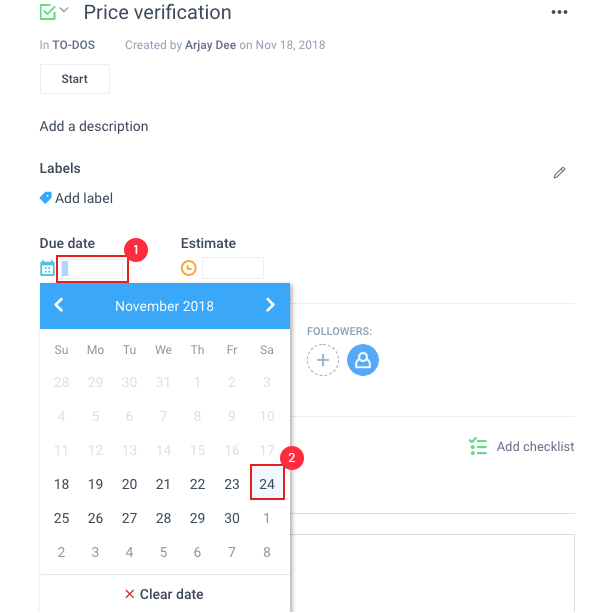 A new calendar window will pop-up, choose the date that you want on the calendar. The arrow icons will move the month forward or backward. Once the date is selected the calendar will close and the due date will be displayed on the old window. To add a time estimate on a task, enter the number of hours on the box beside the clock icon named as estimate. The due dates and estimate are automatically saved, so you can just exit out from the task’s page.